Simon NANN GmbH & Co. KG has been a byword for innovation and quality in clamping technology for over 80 years. Its new universal MSKF collet chuck is a manually operated device that can be switched from external to internal clamping in next to no time. 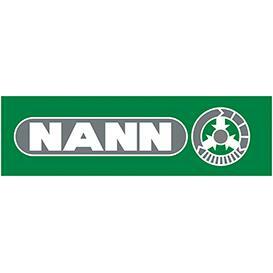 NANN, an owner-run company with extensive expertise and a wealth of experience, has been developing and manufacturing clamping technology for a diverse range of applications since 1937. Drawing on its comprehensive know-how, expert consulting services, in-house development activities and outstanding vertical range of manufacture, the company is committed to delivering robust precision products and exceptional value for money in industrial applications. NANN produces both standard and specialist clamping tools, as many machining processes depend on specially developed and manufactured clamping equipment. The latest result of its clamping engineering is the recently unveiled MSKF collet chuck. The new universal MSKF collet chuck is manually operated and can be used for external clamping with clamping heads and for internal clamping. Besides short changeover times from external to internal clamping, this ingenious chuck also boasts high precision and excellent rigidity. When switching to internal clamping, the chuck can remain on the machine, thus eliminating the need to set it up again. This is achieved by inserting a standard segment mandrel featuring a quick-change mechanism. The mandrel produces high clamping forces, while the vulcanized clamping sleeve covers an extensive clamping range. What’s more, NANN points out that the exchangeable insert for internal clamping can also be used for KSKF collet chucks and MZ stationary clamping units.